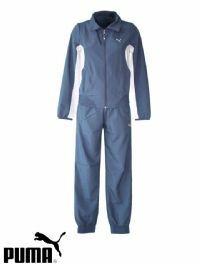 Description: Women's Puma Blue Depths colour shade, Prime Sweat Suit. Description: Women’s Puma ‘Graphic Leggings’ track suit. Features a Puma logo on the front chest and two front pockets on the track top. 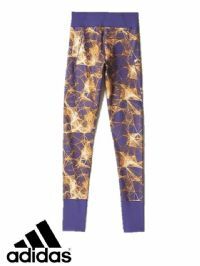 Women’s Adidas ‘Super’ Leggings (AY3160) x3 (Option 3): £12.95. Description: Women’s Adidas ‘Super’ leggings. Features an Adidas logo on the front and made using ‘ClimaLite’ technology. Women’s Adidas ‘Super’ Leggings (AY3160) x10 (Option 2): £12.95. Women’s Adidas ‘Super’ Leggings (AY3160) x8 (Option 1): £12.95. Women’s Adidas ‘Gym’ Full Zip Hoodie (AY5444) x7 (Option 3): £13.95. 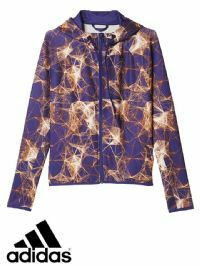 Description: Women’s Adidas ‘Gym’ full zip hoodie. Features an Adidas logo on the front chest, as well as two front zip pockets. Women’s Adidas ‘Gym’ Full Zip Hoodie (AY5444) x5 (Option 2): £13.95. Women’s Adidas ‘Gym’ Full Zip Hoodie (AY5444) x8 (Option 1): £13.95. Women’s Adidas ‘Happy Handstand’ Suit (AJ6520) x8 (Option 2): £15.95. Description: Women’s Adidas ‘Happy Handstand’ suit. Features an Adidas logo on the front and is made using ‘ClimaLite’ fabric. Women’s Adidas ‘Happy Handstand’ Suit (AJ6520) x4 (Option 1): £15.95. Description: Women's Puma track suit. Features a Puma logo and two pockets on the top and bottom. Description: Women's Puma track suit. Features a small Puma logo on the front chest of the track top, as well as two front pockets. The track pant also includes a small Puma logo as well as an elastic waist. Made from majority Polyester.